How to select lapel pins of The World Cup? Many of soccer fans are crazy for the world cup on-going who help to come on for their country. While the stage properties of soaring are necessary to soccer fans, as they use the tools to inspire and boosting morale for athlete. 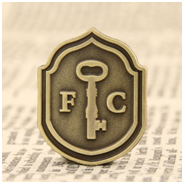 The one of essential stage property is lapel pins which are very representative for soccer fans. There are many of knowledge to select custom lapel pins of the world cup. Do you know how to select it? 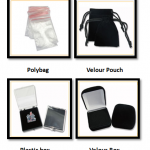 Custom lapel pins have different craft and material which can be roughly divided into six categories. Soft enamel pins is one of the lapel pins. The general production materials are copper, iron, zinc alloy, etc. Among them, copper is the most used and relatively expensive, and the iron paint badge is the cheapest. Its surface has a lot of obvious concave and convex feeling, good texture, suitable for the production of some high-end badges. Hard enamel pins belongs to the high grade badge in the badge craft which are used to zinc alloy as material and added imitation enamel paint on the surface. And put them into high temperature to burn. The production process is similar to cloisonné pins that appear smooth and flat due to the gold-plated silver, gold or other metal colors on surface. Which pins not only have cheap price but showed a dignified feeling to peoples. The main material of 3D or cutout pins are red copper and zinc alloy that used three dimensional mold to carry on the stamping or the die casting with the baking paint and enamel craft. Compare with others, 3D or cutout pins is the most powerful image. Sandblast pins use premium metal to make which choice a matte craft at the recessed while the bulgy areas are polished. The result of Sandblast pins is a clean, distinctive and elegant look in silver, gold or copper which own a high quality overall looks and feel. Antique pins are a classic lapel pins which processed an antique finish on lapel pins. The recessed place plate dark and the raised patterns or texts are polished which look like antiques. Offset print pins divided into screen printing and lithography. It is also commonly referred to as an epoxy badge because the last step of the lapel pin is to add a transparent protective resin (Boli) to the surface of the badge. The materials used are mainly stainless steel and bronze. Screen printing badges are mainly aimed at simple graphics and less color, While lithography: For complex patterns, more colors, especially gradients. Through introduce above, you must understand the craft and material of the lapel pins. In fact, the best choice for lapel pins of the world cup is soft enamel and hard enamel pins. Why? 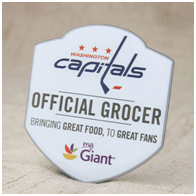 Soft enamel lapel pins are acknowledged to affordable price which are very suit to custom by the organization of soccer fans for save cost. The price of hard enamel pins are next only to soft pins but the quality is higher than it. Soft enamel pins can create variety look pin or size of you requested. 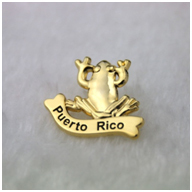 For map, national flag, football, trophy or key words, all can designed become the custom enamel pins. The designing of hard enamel pins equal soft enamel pins, only you want to add element which all can superimpose. 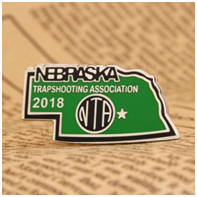 Soft enamel pins can fill variety fresh color on the custom lapel pins which vivid and charming which can attract more visions. The coloring areas are recessed while the polished places are raised which between area has obvious contras. 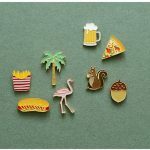 The color of hard enamel pins is the same as soft enamel pins, the different between are surface: the smooth surface belongs to hard enamel pins, while the embossed is soft enamel pins. In addition, the color of hard enamel will not fade over color time. 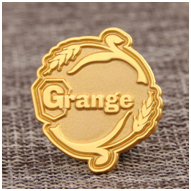 The kind of custom soft enamel pins is best choice for complex logo or image as take into consideration delicate detail. 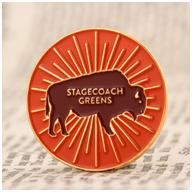 Hard enamel pins can be created exquisite detail or shape detail for custom pins. Above elements soft and hard enamel pins are the advantages of soft and hard enamel pins to custom lapel pins of the world cup. Click on: https://www.gs-jj.com/lapel-pins/Custom-Lapel-Pins,email us: info@gs-jj.comor call 1-888-864-4755. According to recommend above, welcome to select your custom lapel pins of the world cup to come on for your country. ← What Kind Of Custom Pins Suit For Collection?